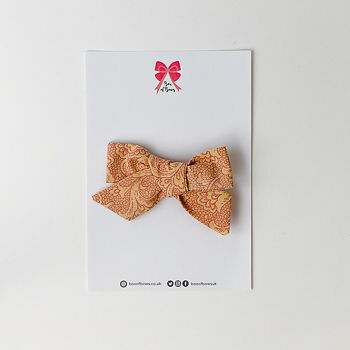 Our Elena hair bow is a beautiful print of the softest of tan mixed with a salmon paisley. Free delivery. 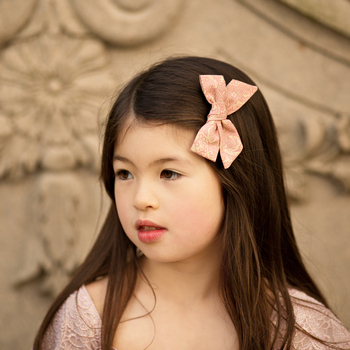 Bunches / sister packs are shipped in a pink bag.